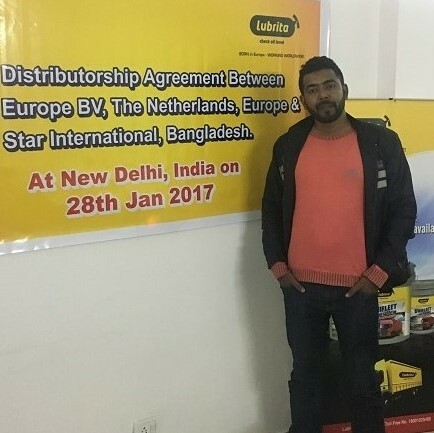 We are proud to announce, that in India, New Delhi 2017 January 28 th was signed sole Lubrita lubricants distribution contract for Bangladesh market. Mr. Alfur Rahman owner of Star Group International and Md. Mr. Ripon Sheikh, director of Star International visited Lubrita India Pvt. office in India, New Delhi. We wish all the best to our new colleagues, who joined Lubrita International Team. Looking forward for long term successful cooperation!